Throughout recorded time, and in many ways right up to this point in our human evolution, wisdom teeth removal was an uncomfortable experience for everyone involved. Almost all historical references to the operation dwell on the pain and discomfort of the surgery. The Egyptians pioneered it, and the Babylonians tried it too. Hammurabi’s Code, written in 1754 BC references tooth pulling as a form of punishment. 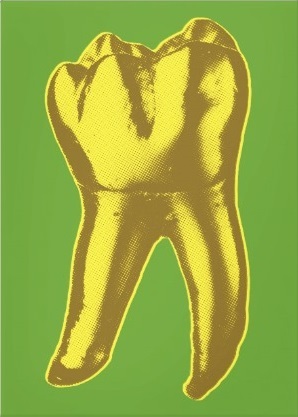 The surprising appearance of new teeth was noted in texts by Plato and Hippocrates, and later, Europe’s medieval writers would link wisdom teeth to the ‘tooth worm’ which – it was then believed – erupted unseen in people’s mouths to create otherwise unexplained holes in teeth (especially favoring the last molars.) In monasteries throughout Europe, there were ascetic monks who suffered (and eventually died from) impacted wisdom teeth as a form of penitents. And although the 18th century was an Age of Enlightenment for the arts, literature, science and statecraft, common everyday dental care was still very much stuck in the Dark Ages. Luckily for us, all of that has changed with modernity; vocational training produces highly skilled dentists, and modern science equips them with effective medical equipment. The profession’s expertise and machinery just keeps getting better, and so does the pain mitigating pharmaceuticals available to patients. These three elements combined have changed people’s perception of the wisdom tooth removal process, and this is reflected in our mainstream media and popular culture in general. Today, wisdom teeth removal is something of a grand event in young peoples’ lives; the experience has three distinct stages 1) anticipating , 2) enduring and 3) recovering afterwards (through a combination of resting and ingesting delicious soft foods.) This medical mark-of-maturation is now celebrated in many different ways. While there are references in popular music, films and TV shows, wisdom teeth removal videos are especially popular on YouTube; the once dreaded experience now presents young people with a legitimate (and completely legal) opportunity to record themselves in an altered state. The premise is usually the same – a patient recovering from wisdom tooth removal surgery solicits fame as they request a meeting with their favourite film and TV celebrity heroes – but each video still manages to be uniquely entertaining. During their ‘Wisdom Tooth Summer’, many university and college students return to their parents’ house for what is likely to be their last summer at home. Its also quite common to see these same young scholars use the break to get their wisdom teeth removed. And so, together, the two events often become a rite of passage. The surgery is so commonplace in this age group that it’s estimated that well over 500,000 wisdom teeth are extracted across Canada during June, July and August of each year. The ubiquity of wisdom teeth extends all the way into the music industry. 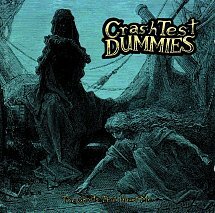 Just look at the lyrics in this Crash Test Dummies’ song where the narrator proclaims he’s one of the few people alive who have all their wisdom teeth (but still says things that aren’t so wise). But when I sing my darling’s praise, I know I’m right, or close anyways. In a number of recent television sitcoms, wisdom teeth removal surgery is used as a plot device to put a strong character at a medically induced disadvantage. In the show Broad City, in an episode titled Wisdom Teeth, the female lead, while on a double dose of Vicodin, asks a less than desirable male counterpart for a date (in a 23-minute voicemail that involves a Drew Barrymore impression). A similar scenario unfolds in The Middle, with Malcolm recording his siblings while they’re both under the influence of a dentist’s painkillers. In Season Eight, Episode Eight of Long Island Medium, we get some good insights into how families with millennials are affected by the operation, and how they rally around their suffering siblings while secretly enjoying the family member’s temporary weakness. Once again, you can see the medicine in the female character’s hands as she helps her brother move about the house. The show celebrates love, family support, and all the silly things people say when under the influence of powerful pain killers. On YouTube, video uploads of subjects ‘recovering from wisdom teeth removal surgery’ are so common that the phenomenon is considered to be its own content niche. Countless young people have recorded curious self-reflections from passenger seats in cars, presumably as they are being driven home from a hospital or dental clinic. 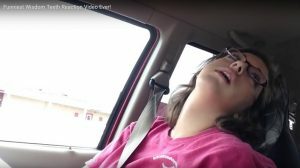 Their awkward thoughts and sloppy speech are recorded while still under the influence of the drugs administered during the wisdom teeth removal surgery. The titles of these videos employ words like ‘recovering after surgery’ and ‘still under influence’. A number of everyday Americans have used their wisdom teeth removal scenario to meet their celebrity idols; Ellen Degeneres flew one viral video subject to her television studio for an interview, and Ryan Reynolds sent another to an exclusive Deadpool screening after that young man’s Recovery Video accrued half a million views. As pop culture has shown us, having your wisdom teeth removed isn’t nearly as terrifying as it sounds. Not only is it a rite of passage that marks the passage of time between childhood and adulthood, but it’s also an opportunity to relax and let yourself be silly. Who knows? Maybe your post-wisdom teeth removal video will be the next viral sensation.